With the UK’s departure date from the EU looming ever closer and with the continued uncertainty over the UK’s future relationship with the EU and its subsequent trading position with the rest of the world, we would like to reassure our customers that, in common with most of UK business, we have been monitoring developments very closely for some considerable time and have attended a number of seminars, webinars and workshops which have provided expert advice on Brexit. Furthermore, VBC Group established its own Brexit Committee a number of months ago comprising members of the Senior Management Team. 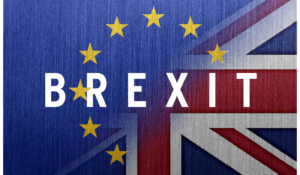 The Brexit Committee has been regularly meeting with the specific objective of looking into the numerous post-Brexit scenarios, including a worst-case ‘disorderly’ Brexit, so as to understand the potential impact on our supply chain and any risks to our customers. This is an on-going process but we are confident that we have a full and proper understanding of the potential risks to our supply chain posed by Brexit and we are also confident that the steps we are taking will minimise if not eliminate any disruption. Our Brexit Committee will continue to meet regularly up to and if necessary beyond 29th March 2019 in order to keep our preparations under constant review and in order to identify any requirement for appropriate Brexit-related communications to be made direct to our customers. We would be pleased to discuss individual customer requirements and review any stock provisions that are in place at any time during the Brexit process. Please call your regular sales contact if you would like to discuss this further.